Expect a Higher Standard Care With Better Technology! Cell phones, televisions, home appliances and cars all experience accelerations and innovations. Like these technologies, dentistry is no exception. 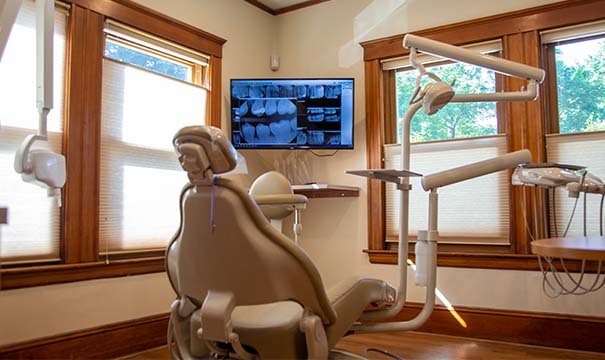 When you visit Capron Park Dental for care, you can rest assured knowing that our team is always including the latest technology in the office. Doing so allows us to provide more comprehensive care and improve your overall dental experience. If you’re looking for efficient care and want to reduce as much discomfort as possible, our office is the place to be. A better treatment experience is just a phone call away. Feel free to contact our office to speak with a team member. Dr. Herr, Dr. Lucio and Dr. Vo can’t wait to provide you more effective, efficient and comfortable treatments! 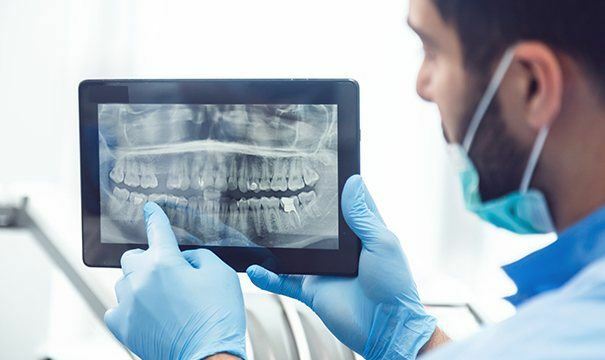 With this pen-shaped device, our dentists can take high-resolution photos of the inside of your teeth, gums and display them on a nearby monitor for your own viewing. Intraoral cameras allow us to not only catch dental issues, but give you a better idea of what’s happening inside your mouth. The more you know about the state of your oral health, the more informed you can be about the treatments you need. No longer will you have to take your dentist’s word for it when they recommend a filling, crown or other treatment. Digital X-ray machines make it much easier to locate problems underneath your oral tissue. However, they’re also proven to be faster, safer and eco-friendlier compared to traditional X-ray machines. Since the X-rays are digital, its easy to access previous X-rays or send new ones to dental labs. For those who fear radiation, you’ll be glad to learn that digital X-ray machines emit 90 percent less radiation than their traditional counterparts. The Trios 3D Scanner is a huge step in the right direction for patient comfort. If you needed a dental crown or clear aligner made, you needed to bite into putty-like impression material to create a reliable model for dentists to use. Now, the Trios scanner makes it easier to create a digital, 3D image of your teeth and gums. With this data, we can create a wide variety of restorations and perform procedures with greater accuracy. It provides the perfect combination of patient comfort and better treatments overall. Do you have gum disease but fear treatment because of metal dental tools? The Picasso Soft-Tissue Laser makes your periodontal treatment virtually painless! This device uses a highly-concentrated light beam to eliminate both bacteria and infected tissue on contact. Thanks to its precision, there’s a much lower risk of accidentally removing nearby tissue and a greater chance of reducing recovery time afterwards. It’s so precise, patients often require little to no anesthesia to receive treatment. If you would prefer to remove excess gum tissue and show off more of your smile, it can easily accomplish gum recontouring as well!